Imagine: a beverage that takes only 5 minutes to prepare, but makes you feel good from head to toe. It soothes and energizes. It fights free radicals and reverses aging. It raises your fitness level and helps you shed pounds more easily. What is this magical beverage? Would you be surprised if I tell you it is the most consumed beverage in the world after water? Every medicine is the only medicine for a specific disease, but tea is the medicine for all causes. And yes, after 1,200 years, he is now proven right. At the end of 2006, the Pubmed database contained 2,500 green tea studies, with 350 published in 2006 alone. Scientists are arriving at the same conclusion. When you drink tea, you are inviting positive changes into your life. Why green tea benefits manifest as the Miracles In The Cup. Not yet impressed by what this amazing tea can do? Check out what the scientists say, in their own words! Thousands of studies are conducted on the benefits of drinking green tea each year. Tracking them is a mammoth task. Still - I try my best! Enjoy this journey of discovery. It is only going to get better. What makes green tea so effective compared with antioxidants found in other fruits and vegetables? More on antioxidants. Quantum physicists discover how green tea eliminates free radicals by using a quantum physics trick known as tunneling. We put oolong tea under the hard lens of science, and separate the facts from myths. White Tea Benefits - Rising Star? 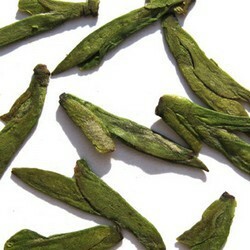 There are only a few 'proven' white tea benefits, but they look very promising from here. What does Traditional Chinese Medicine say about herbal tea health uses? Which tea should you drink at different times of the day? How about seasonality?